Open a bag of Fruitables treats and you will immediately smell the difference. At Fruitables, they make treats that taste as good as they smell. Warning — Fruitables Whole Jerky may cause your dog to drool, tremble, howl, and show a sudden increased interest in everything you are doing — don't worry, these reactions are perfectly natural! 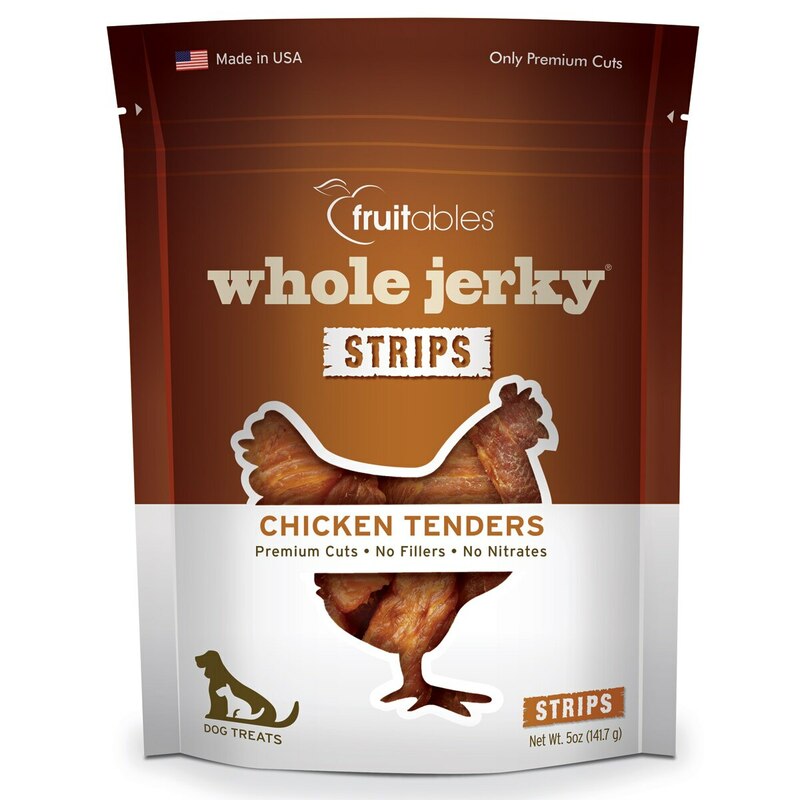 Whole Jerky Roasted Chicken Tenders Dog Treats starts with the highest quality sliced whole chicken tenders that are then slow cooked to bring out a savory roasted aroma and flavor that drives dogs wild! Fruitables treats come in different textures and a variety of flavors as broad as the rainbow — go ahead, explore the deliciously healthy world of Fruitables! 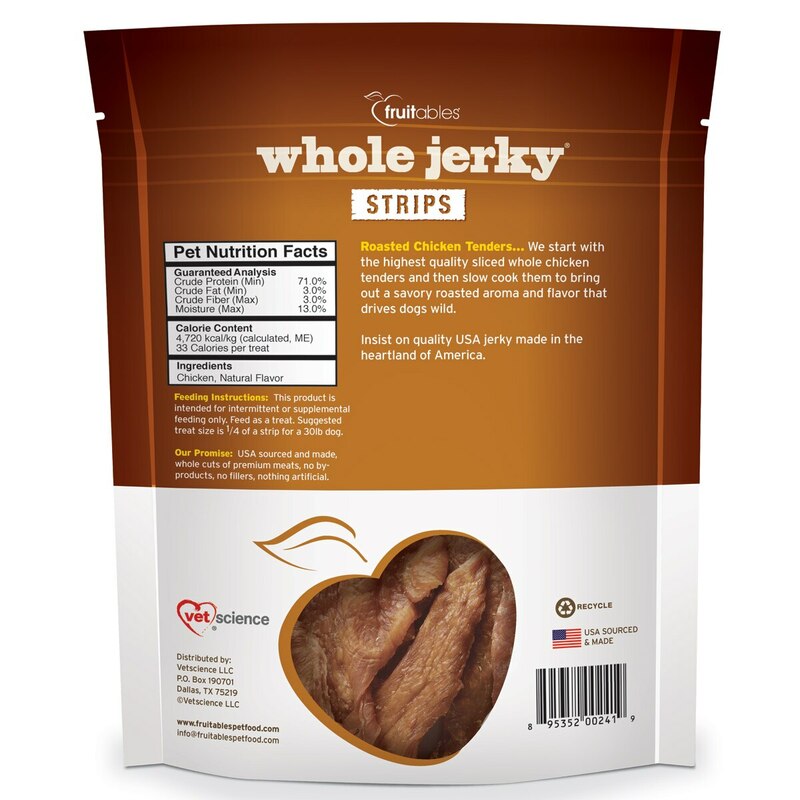 100% limited ingredient jerky strips made from sliced chicken tenders that are slow cooked to bring out a savory roasted aroma and flavor that drives dogs wild! Simple recipe has just two ingredients: chicken and natural flavors. Limited ingredient, gluten and grain-free recipe is ideal for dogs with allergies or sensitivities. No by-products, fillers or artificial ingredients.